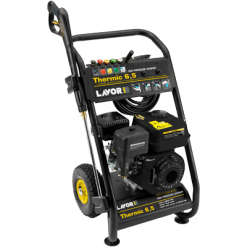 The Lavor range of petrol pressure washer machines is expansive, but which one is right for you? 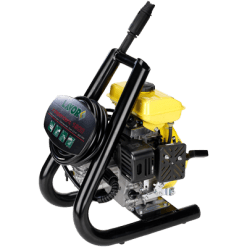 Petrol pressure cleaner units can actually be split into two groups. 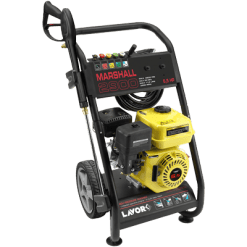 Ones that are cold water machines which run solely on petrol, or hot water pressure cleaners that run on electricity and petrol (or diesel). That is where the distinction between the two lies. 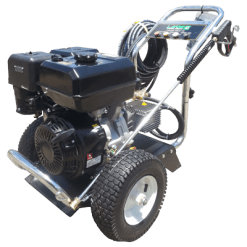 The cold water petrol pressure cleaner machines are portable, only needing a water source. These units almost always run on unleaded petrol to run the motor and pump. To be truly portable, a portable water tank can be used as the water source. 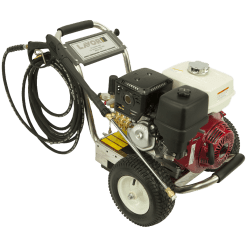 The hot water petrol pressure washer units use electricity to power the motor and pump. The petrol element comes from the diesel burner which heats the water. Why diesel? Because diesel can be used to heat the water without necessarily causing a fire near a sparking motor. Keep in mind, there is a third element to this category. 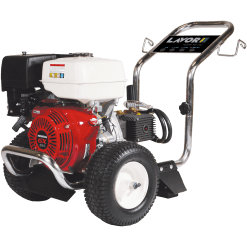 Lavorwash can make available any purely diesel fired pressure cleaners upon request. If fire hazard control is at a premium, such as in mining, this is where these cleaners are used. 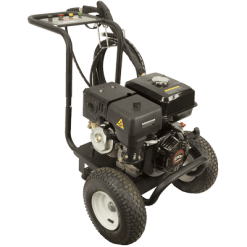 Feel free to contact us for more information, or give us a call for a quote or demonstration on any of the following petrol pressure cleaners.